My girls are all about those fidget spinners and toys that keep their hands busy. But, with the many danger of kids getting fingers stuck in holes of the spinners or them containing lead or other dangerous chemicals, I was on the hunt for other fun toys to keep my girls' hands busy and them entertained. My search led me to Kahootz toys, which I was not familiar with. After spending some time on their website and checking out their different toys for boys and girls of all ages, I reached out to see about including a few of their products in my holiday gift guide including their popular Hypnogizmo -- stay tuned for reviews of their fashion plate set for girls and their Popoids 60 piece set, which I will be sharing later today. "HypnoGizmo® is the ultimate desktop fidget toy! 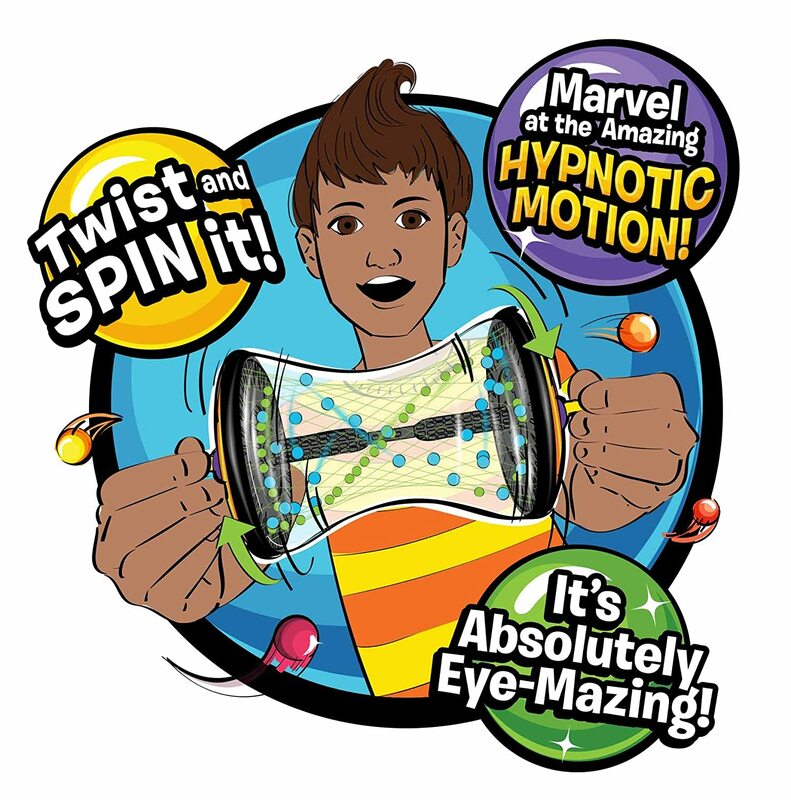 Spinning, clicking fidget fun right out of the box—you’ll marvel at the amazing hypnotic motion! Play with it right out of the box, or build you own and change your creations over and over again! Once you twist and spin, you won’t be able to put this wild wonder down!" Doesnt' this look like a fun twirly toy? After reciging a sample and trying out with my family, I have to say it is one of my favorite toys, that will mesmerize you, without requiring you think or put much effort into it. :-) As you spin and twist the Hypnogizmo, you can't help but get lost in the motion of the metal balls that move all about. What is so great about this toy, which will provide hours of endless fun, is that you can play with it right out of the box. No need to put together the toy -- there is a customizable version you can buy and design and build your own toy if you want (learn more about this Make-Your-Own Activity Set over at www.kahootztoys.com). I thought that this toy would be perfect for the girls, but this has become a popular toy that both kids and adults pick up when visiting our house. You can't help but spin and twist the Hypnogizmo and try to control how the balls will fall or spin around. It really is an addicting toy that is so much fun. 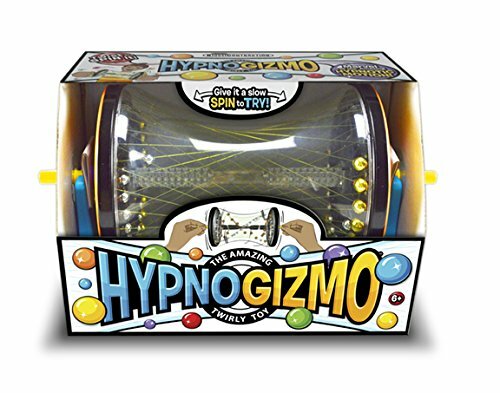 With the holidays fast approaching, why not consider picking up the Hypnogizmo to leave on the coffee table for guests to enjoy, or to give as a gift. Once you try the Hypnogizmo, you will not want to put it down, and will want one for yourself. 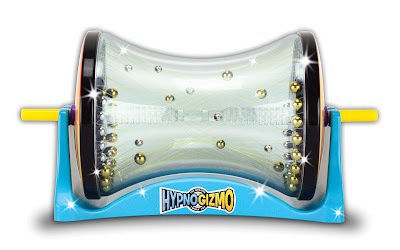 To learn more about the Hypogizmo and to order online visit: http://www.kahootztoys.com/shop-now.html. You can also check your favorite specialty toy store for Kahootz products, too. I'm already hypnotized! It looks cool!